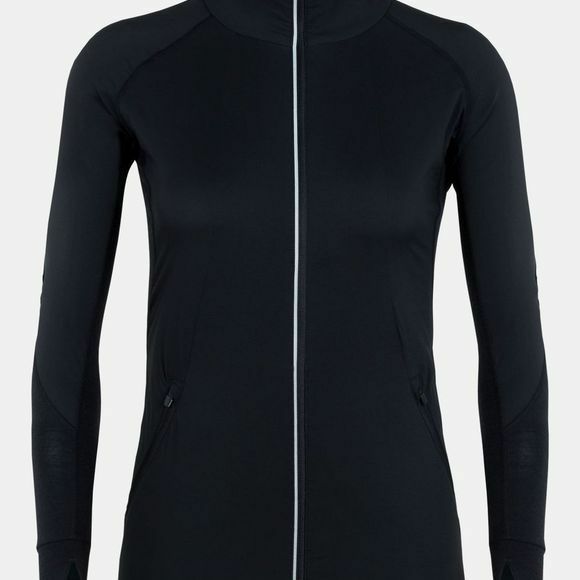 The Womens Tech Trainer Hybrid Jacket from Icebreaker is a technical layering piece designed for cold-weather running and training. The Tech Trainer Hybrid Jacket features a hybrid construction that offers the optimal balance of warmth, protection and breathability. 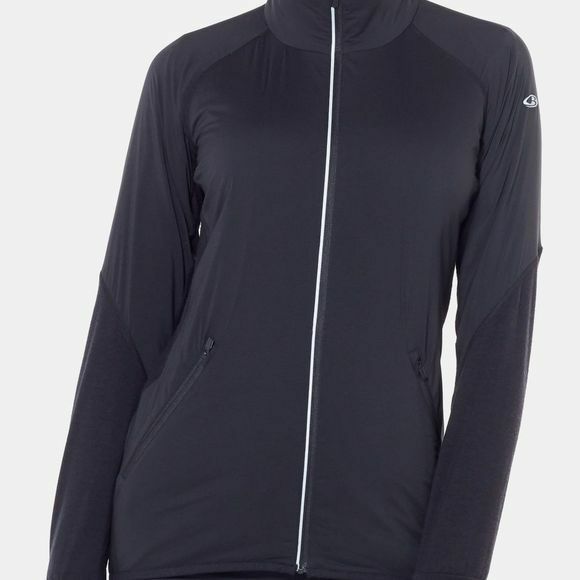 The jacket’s main fabric features a soft and stretchy midweight jersey blend of merino wool and Lycra that insulates and stretches. Across the front, shoulders and upper arms, zoned panels of ultralight, air-permeable Pertex Quantum Air fabric feature a DWR finish to repel light moisture and windy conditions. Offset shoulder seams prevent chafing when you’re carrying a pack, and zippered hand pockets store your phone and other small essentials.